This case has been designed to house CDP software packages and their required hardware. 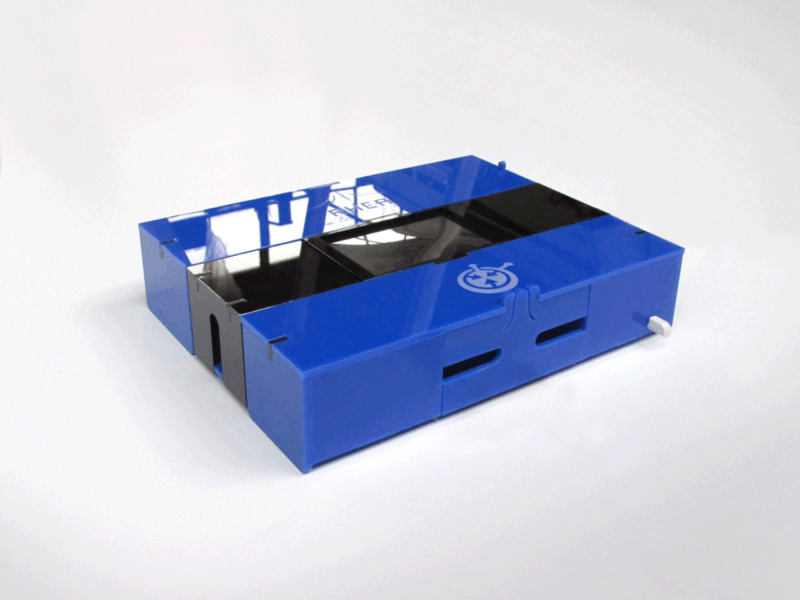 The casing optimizes user interaction; all hardware elements needed to run the service are set into a format that is mobile, easy to store, easy to connect and easy to operate with. This compact design turns CDP, an otherwise digital and thus immaterial product, into a user friendly device. The routine can be run independently or within local networks. Connection to different devices is possible through the ports (USB, HDML) placed sideways, underneath discreet opening flaps.